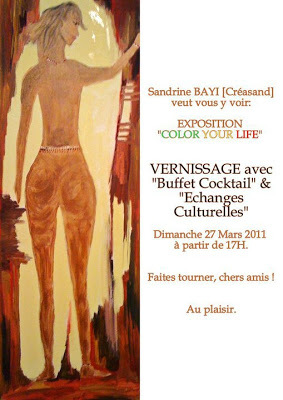 Sunday, March 27, 2011 CreaSand launches and exhibits his paintings at [BAR FREEDOM] 196 Rue du Faubourg Saint-Antoine ! Info on the eventFacebook ! 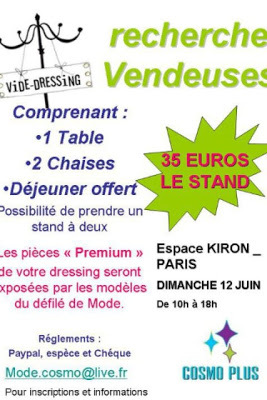 Cosmo Plus organizes a large empty dressing June 12, 2011, if you want to sell your clothes: complete information are on the flyer! Last, but not least: MON empty dressing is next Saturday! April 2, 2011 from 15h to 18h in the 13th metro Tolbiac! Small info: Ameyo Stylez will be present with its amazing collection of accessories for our pleasure! 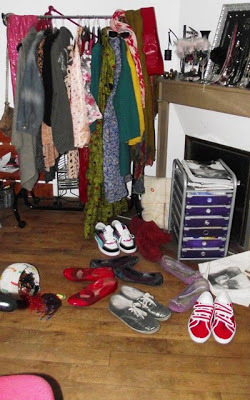 I sort … I sort … but where do all these clothes?